"Thank you for making our wedding day so magical. We have been looking forward to this day for a very long time. You made it so special. Our sincerest gratitude for all you have done." 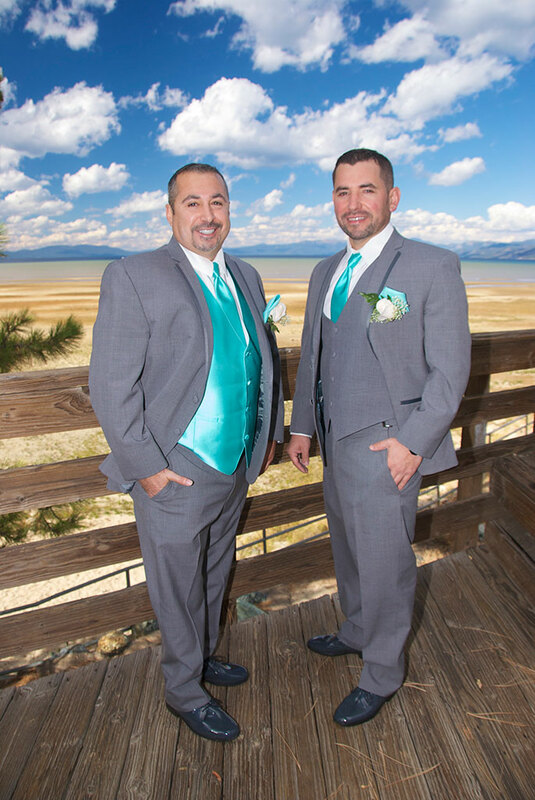 We can also provide flower services, video of your special day, limo and shuttle service, and more! Call us to book your stress-free wedding! 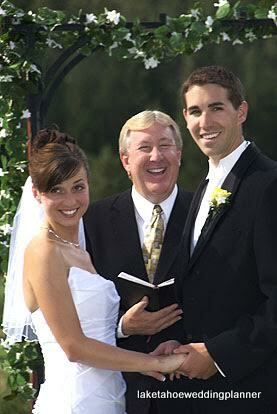 last-minute weddings and vow renewals for over 20 years! 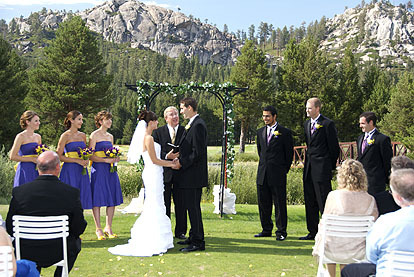 Emerald Bay is one of our most popular Lake Tahoe wedding sites in both summer and winter. This beautiful Lake of the Sky location is above the bay near a waterfall looking out over the spectacular, scenic view of Lake Tahoe. Regan Beach, The Beach Retreat & Lodge, Lakeside Beach, and Camp Richardson Beach are all romantic beach side locations. 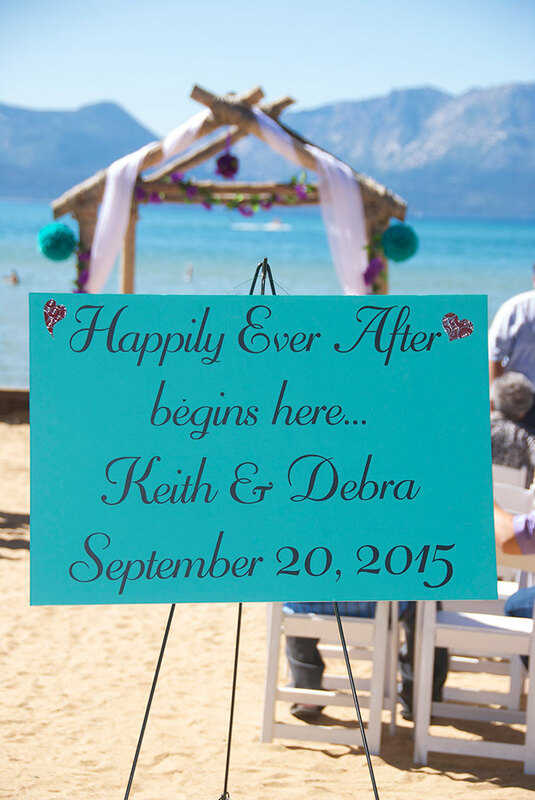 A Lake Tahoe beach sunset wedding is something you will never forget! Check out our packages and locations page for pictures and prices of each location. 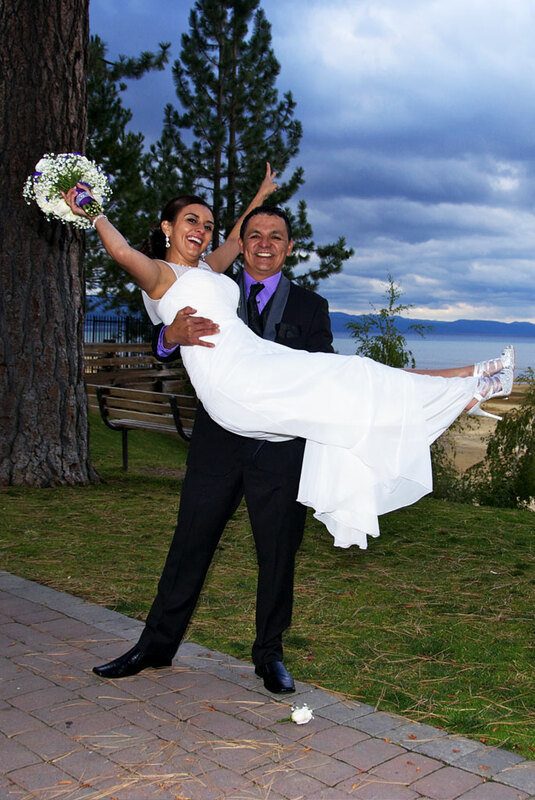 We also have a Simple Tahoe Wedding Package for a more affordable Tahoe wedding. 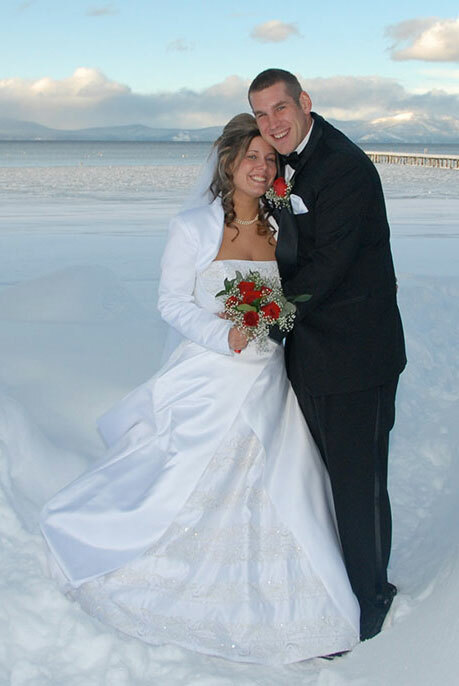 We have winter specials from November to March for $249 at Emerald Bay and $199 for a Regan Beach Lakefront wedding. 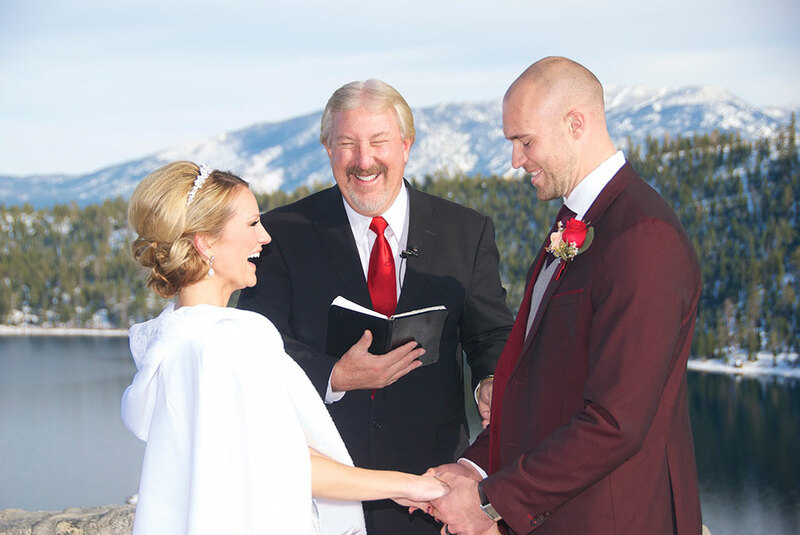 Prices include a minister, location costs, a California marriage license, and up to 5 guests. Our complete package special for $349, runs daily from November through March for Emerald Bay and Regan Beach. 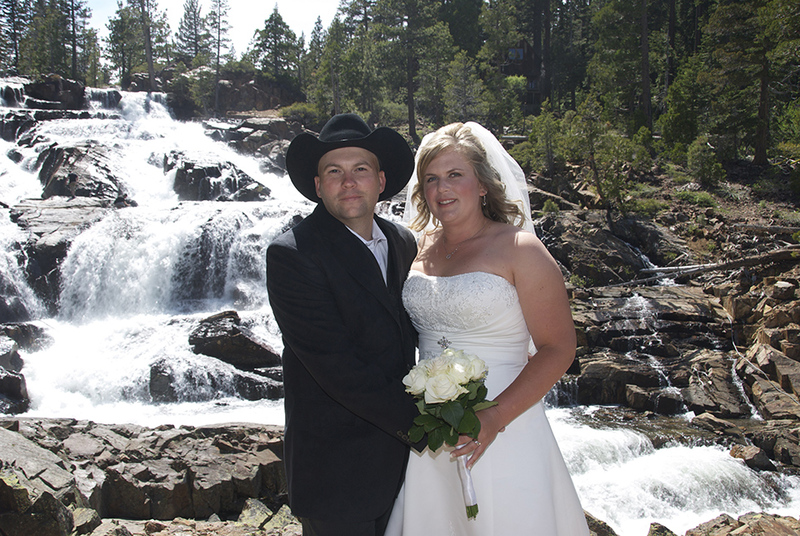 Monday through Friday you can save $100 on most wedding packages. A 50% deposit of the package price is required to book the package, date and time.